The Contemporary Art Society’s latest display, Three Woman Painters: Phoebe Unwin, Clare Woods and Lynette Yiadom-Boakye, provides an opportunity to view the work of these three prominent female artists. Showcasing new paintings recently purchased for museums by the Contemporary Art Society, the display takes a fresh look at three of today’s most exciting artists who have developed their own distinctive responses to the practice of painting. The works in the exhibition revisit the traditional genres of landscape, portraiture and abstract painting, and provide for critical reflection on contemporary painting. Phoebe Unwin has developed a unique practice that relies on the continual collecting of ideas, scraps of the material world, images, textures and memories of transient life experiences, compiled in sketchbooks. The content of these books are the inspiration and source material for making paintings. 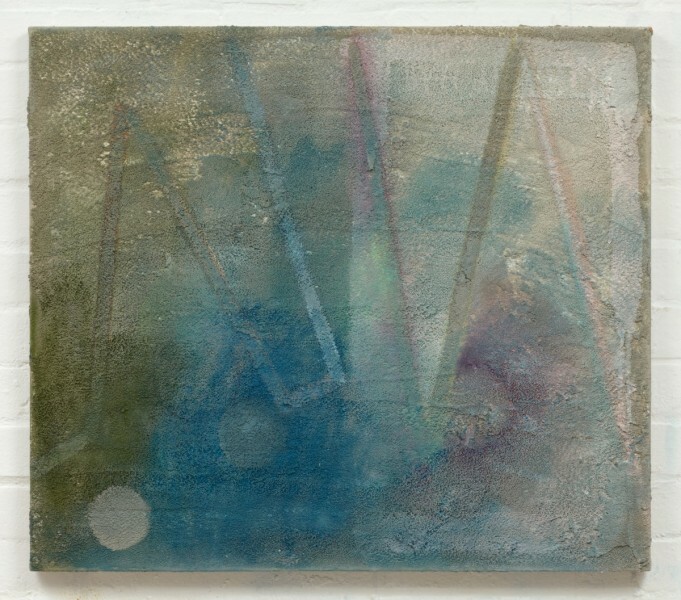 Her painting Concrete Ball (2012) comes from a body of work which explores the material relationship to image within painting, where the material itself is part of the subject of the painting. The title describes both the physicality of the painting and also what is pictured, playing on the dialogue between lightness and heaviness, and stillness and movement. 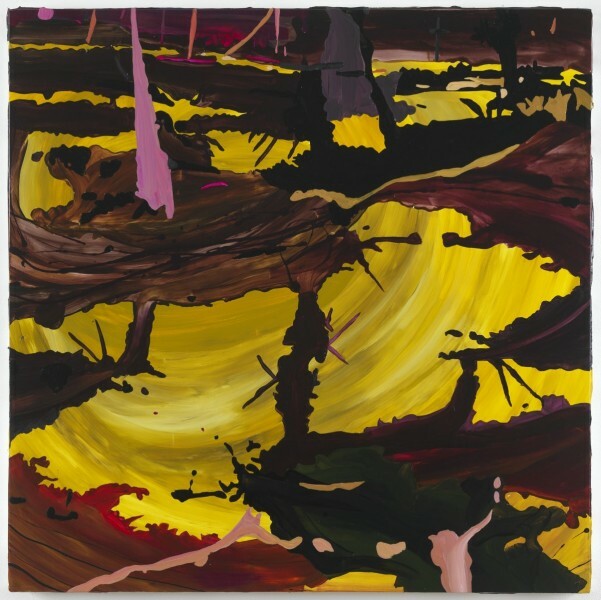 Clare Woods was commissioned by Contemporary Art Society Consultancy for a major commission at the Olympic Park, London in 2012. Her paintings are based on photographs, taken at night, of undergrowth and vegetation in desolate or overlooked locations and are transcribed using layers of enamel paint on aluminium. The resulting images are often ambiguous and disturbing, claustrophobic in their detail, and psychologically-charged. Obscene Porridge (2012) is part of a specific body of work inspired by a letter Paul Nash wrote to his wife from the Passchendaele battlefield during WW1. The battlefield is infamous for the number of casualties and the mud which drowned soldiers and horses. 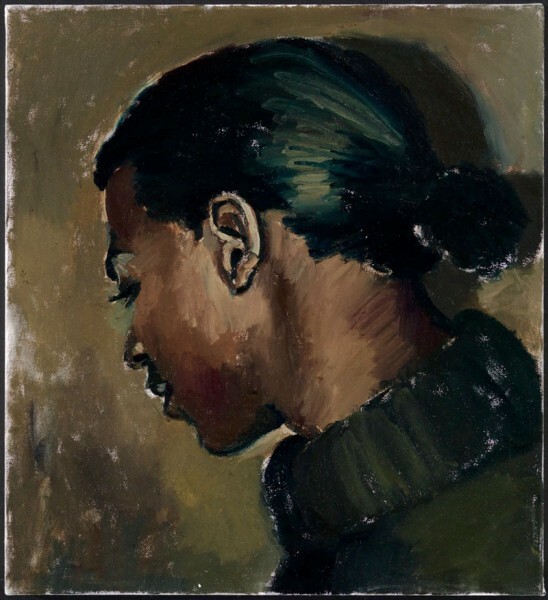 Lynette Yiadom-Boakye‘s figurative paintings are drawn from her own fictitious set of characters and allude to traditions of European portraiture. Yiadom-Boakye’s paintings engage with the history and genre of portraiture, at once referencing and entirely evading the traditions of canonical portraiture. To Tell Them Where It’s Got To (2013) was exhibited at The Arsenale, Venice Biennale (2013) and is a key work, showing the transition in Yiadom-Boakye’s practice from the confrontational pose to the figure turned away from the viewer.